The majority of the Komering (pronounced KO-mer-ing) people live in the southeastern part of the island of Sumatera. They get their name from the Komering River, upon which so much of their livelihood depends. The Komering consist of two main groups. The Komering Ilir live in Tanjung Lubuk District around the city of Kayu Agung in the regency of Ogan Komering Ilir. The Komering Ulu live in Ogan Komering Ulu Regency in the districts of Cempaka, Buay Madang, Belitang, Simpang, Martapura, and in the municipality of Baturaja. The Komering language has characteristics that are slightly different from the Melayu (Malay) language cluster to which it is related.They are closely related to the neighboring Lampung people groups. The first language of the Komering is called Bahasa Komering, but the national language, Bahasa Indonesia, is taught in the schools. The main source of livelihood for the Komering is rice farming, using both irrigated and unirrigated methods. In addition to rice, they also raise secondary crops of fruits and vegetables. They usually have a few cattle, goats, chickens, ducks, and also catch fish from the river. In several areas, they mine raw materials such as oil, gold, nickel, diamonds, uranium, and coal. From the forests they harvest timber, resin, and rattan.The majority of Komering houses are located along the Komering River, so the houses are built atop tall wooden stilts to protect against flooding. The houses are made of wood or bamboo with tile or palm leaf roofs and consist of one bedroom and one large family room. In the past, a Kerio (village headman) was responsible for managing and overseeing the growth of the village. A person known as the Kermit functioned as a town herald, spreading the local news to each member as he walked through the village. Kinship is usually patrilineal (tracing descent from the father). While traditional law follows the patrilocal pattern. This means that the wife lives with the husband’s family, a tradition that in the Komering language is called ngalaki.Additionally, ngakuk anak marriages are also common. In this pattern, they follow the matrilineal (tracing descent from the mother) system and the husband lives with the wife’s family (matrilocal). Male children are considered descendants of the wife, so this pattern is quite common if the wife’s family has no male children. Besides the teachings of Islam, which has a strong influence on their culture, the Komering also have strong beliefs in superstitions and spirits. They often call a dukun (shaman/healer/occultist) to heal the sick or cast out demons. Their effort to balance their Islamic and animistic beliefs can be seen in the proverb: “adat bersendikan syarak dan syarak bersendikan Kitabullah” (Tradition is centered upon canon law and canon law is centered on Qur’an (the Islamic Holy Book). The Lampung Abung people originated in the districts of Kayu Agung and Mesuji in Ogan Komering Ilir Regency and now are spread along the northeastern coast of Lampung Province. They are bordered on the north by the Tulang Bawang River, to the west by the border between North Lampung and West Lampung districts, to the south by the Sunda Strait, and to the east by the Jawa (Java) Sea.Although often identified as a single “Lampung people,” the Lampung cluster of peoples consists of three main people groups: Abung, Peminggir, and Pubian. The Lampung Abung people are known as mountain dwellers and have a unique history as headhunters. Their language of Abung is a branch of the Melayu (Malay) language cluster and is similar to the Melayu Riau language. The majority of Lampung Abung make their living as rice farmers. After they harvest the rice, the best fields are then used to plant pepper (ladar). These small pepper plantations are productive for 20-25 years. Pepper crops are usually sold and the money is used for a big and expensive ritual celebration known as pesta pepadon, to mark the beginning of the rice-planting season. The other important source of livelihood for the Lampung Abung is fishing, especially in the swampy areas near Tulang Bawang where rice farming is nearly impossible.The Lampung Abung live in traditional communities known as tiuh, in which each clan has its own permanent house. Typically, these clan houses have only a few older members of the clan living in them while the younger adults with children live in seasonal settlements known as umbulan. Usually, ten clans are grouped into one village. The leader of each clan is known as the penyimbang (advisor). This position is inherited, being passed down to the eldest male child. The Lampung Abung families are grouped according to the patrilineal (tracing descent from the father) system. After the wedding, the newlywed couple lives near the man’s family. Polygamy is allowed, but is only practiced by the rich. Marriage between immediate family members as well as cousins is forbidden. According to tradition, divorce is not allowed. However, if a wife leaves her husband, the husband’s family must pay a fine to the community elders. The Lampung Krui (or Kroe) are a small sub-group who are closely related to the Komering, a larger people group in the Lampung cluster. The Lampung Krui and Komering are sometimes considered as one group called the Njo people. Most of the Lampung Krui live in and around the towns of Krui, Sanggi, and Kotajawa on the southwest coast of Sumatera, the world’s fifth largest island.Sumatera is an island rich in natural resources, such as minerals, oil, and forest products. However, most of the land consists of thick forests, swamps, and volcanic mountains with many obstacles for transportation and communication. The land where the Lampung Krui live is flat and swampy. This type of land is very suitable for rice farming. Most of the Lampung Krui earn a living as farmers and small traders. Their crops are mainly sold at local markets or shops. Their lives are difficult and their incomes are low. Many children are forced to drop out of school to help supplement the family income.Lampung Krui houses usually consist of two main rooms. The first room serves as a bedroom while the second, which is larger, is used as a place to receive guests or for family gatherings. The walls and floor are constructed of wood and bamboo. The roof is clay tile or woven palm leaves.The father is the head of the family and may have more than one wife. Nevertheless, seldom does a man have more than one wife due to economic obligations. It is the wife’s responsibility to manage the home and the children. In addition, Lampung Krui women also work in the rice fields. The overwhelming majority of Lampung Krui embrace Islam, which has a tremendous influence on their culture. Followers of Islam believe they will be judged on their knowledge of the Qu’ran, their sacred book, as well as what they did with their lives. Some are devoutly religious people who say their prayers five times daily. Besides the teachings of Islam and its strong influence on their culture, the Krui also have strong beliefs and accompanying practices concerning the powers of spirits. These beliefs influence various facets of their lives. Some believe whistling in a house at night can invite evil spirits. Also, there is the belief that traveling on your birthday is bad luck. Many Lampung Krui wear amulets with verses from the Qur’an (Islamic Holy Book) written on them. Belief in the powers of dukun (shaman/healer/occultist) is still very strong. The dukun is usually called to heal the sick or cast out evil spirits. Because of their fear of evil spirits, the Lampung Krui try to live good lives so as to be careful not to become the targets for the anger of the evil spirits. The Lampung Peminggir (coastal Lampung) live in the province of Lampung, the southernmost province on the island of Sumatera. The people groups in the Lampung cluster can be classified according to geography, language, or culture. The three geographical groupings are the Abung, who are mountain dwellers, the Pubian, who live in the eastern part of the province, and the Peminggir, who live along the southern coast. The Lampung Peminggir people are divided into four sub-goups, namely the: 1) Peminggir Melinting Rajabasa in the area of Labuhan Meringgai and around Rajabasa Kalianda; 2) Peminggir Teluk in the area of Telukbetung; 3) Peminggir Skala Brak in the area of Liwa, Kenali, Pesisir Tengah, Pesisir Utara, and Pesisir Selatan; and 4) Peminggir Semangka in the area of Cukuh Balak, Talangpadang, Kotaagung, and Wonosobo. The Lampung Peminggir are farmers growing labor-intensive crops such as pepper, chocolate, and durian (“stinky” fruit with a thick, spiky shell). The Lampung Peminggir settlement patterns vary from crowded villages to widely spread out villages. Each village has a papanca, which is a place to rest or meditate that may be used by all the people.The Lampung Peminggir have two systems of community organization, namely the Pepadun and the Saibatin. In the Saibatin system, the leader is called the Penyimbang Sebatin, and he is given the honorary title of Batin (King). Other members of this system are called the children of the Sebatin. In the Pepadun, several families from one ancestor live in one village, called a tiyuh, anek, or pekon. The village leader (Penyimbang Tiyuh) also serves as the leader of their traditional law and customs. Several villages may join together to form one larger group (buay or kabuayan). This larger group lives in an area known as a marga, mergo, or mego. Their leader is called the Penyimbang Marga. One of their key principles is that of Pi-il Pesenggiri, which means “guarding one’s dignity above all else.” They usually live a simple life, yet they love to receive honor or praise. They typically do not hesitate to spend huge sums on ritual celebrations. The Lampung Peminggir use honorific titles known as juluk. Upon marriage, men receive a title known as Adok and for women it is Inai. As a result of Islamic traders from the Middle East, Islam made its way into Sumatera by the end of the thirteenth century. Islamic influence weakened the culture, and local chiefs eventually lost their titles and power. The Lampung Peminggir are followers of Sunni Shafi’i Islam, which they consider stricter Islam than the Maliki, Ambali, and Hanafi subgroups of Sunni Islam. Even so, there are still those who believe that the power obtained at several graveyards is sacred, like the sacred well of Pitu. They also often place symbols, such as the cross with betel-nut chalk above the door, window, or other entrances to the house. They believe that this symbol can ward off evil spirits such as the kuntilanak, especially when there is a woman advanced in her pregnancy in the home. 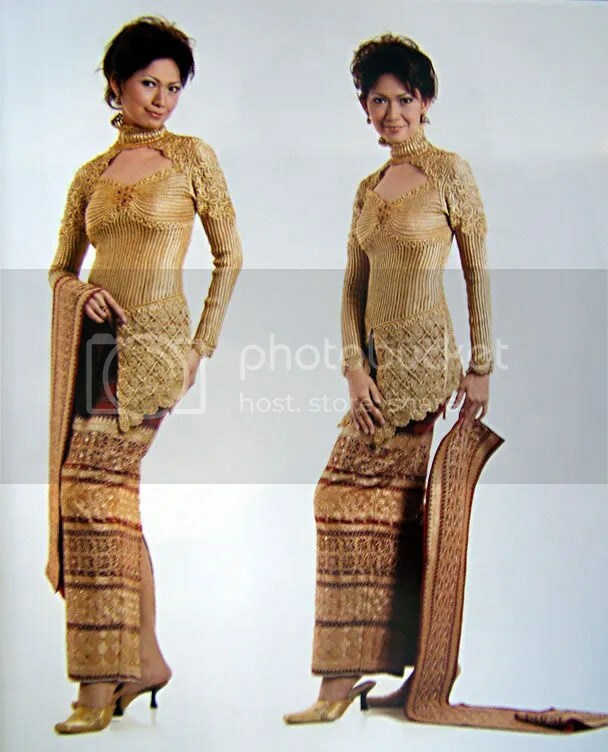 The term Lampung is often applied to all those living in the Lampung province. However, there are actually several people groups, each with their own history and culture. The three main groups are the Abung, Peminggir, and Pubian.The Lampung Pubian live in the regency of Central Lampung. Their villages are scattered throughout the lowlands to the east. For centuries they were forced to avoid the Abung people, who forbade them to cross the border between them. Now the Lampung Pubian have assimilated with the original inhabitants and live in a small area within the Central Lampung district.The daily language is Pubian, a dialect very similar to the Pesisir dialect. During the past twenty years, the Indonesian government has forcibly relocated three million Jawa people to the area, and as a result of these changes, the indigenous peoples of this area are experiencing much bitterness and unrest. Lampung Pubian villages are permanent settlements following a traditional community pattern. Every clan has a permanent house, but the clan house typically houses only a few of the clan elders. Most of the working adults and children live in seasonal housing settlements (umbulan). Wood houses on stilts that encircle one administrative building, known as a sesat, characterize Lampung Pubian villages. The sesat usually is a building with one large room, which is partitioned into several small sections for members of various groups. A single village can be inhabited by up to 3,000 inhabitants, with about 100 clan houses. In addition, each village has a house used specifically for traditional ceremonies. The entire community participates in carrying out traditional ceremonies.In an area ruled by one village, each member of the village may clear new land. The clans own the traditional ceremony house and the cultivated land, including the pepper plantations. Rules concerning ownership are determined according to traditional law. A council of elders, composed of the clan headmen, serves as the court to settle any disputes regarding land ownership. In the interior regions of Lampung, the Lampung Pubian cultivate a type of rice called gogoranca, which grows in dry fields. Usually after one harvest, pepper is planted which provides a good income for them. In addition, the income from the pepper crop enables the Lampung Pubian to hold a traditional celebration known as pepadon. Fishing predominates in the swamp areas. They also raise water buffaloes, cattle, goats, chickens, and ducks.